'It's probably the clearest way that Canada's doctors can say, look, climate change is a health issue and we need to do something about it now,' says Dr. Courtney Howard of Yellowknife, who presented the motion. The Canadian Medical Association has followed the British Medical Association and the Royal College of Physicians in New Zealand and Australia by voting to take its money out of fossil fuels. 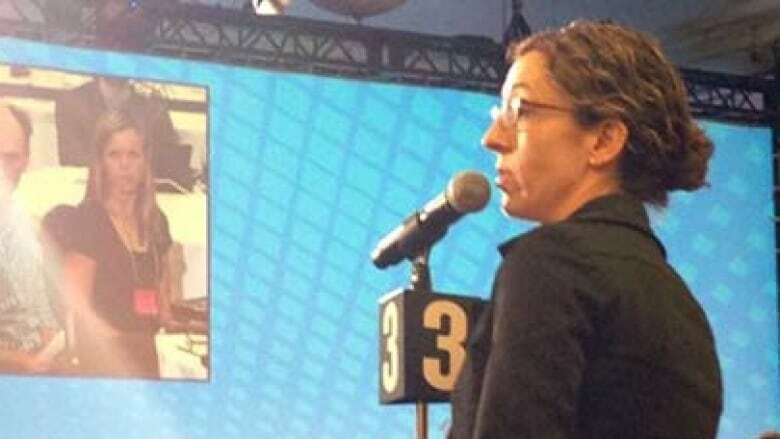 "It's probably the clearest way that Canada's doctors can say, look, climate change is a health issue and we need to do something about it now," says Dr. Courtney Howard of Yellowknife, who presented the motion. At a conference in Halifax last week, CMA members voted 56 per cent in favour of divesting from fossil fuels. The motion was seconded by Dr. Ewan Affleck, another Yellowknifer, and was supported by several other N.W.T.-based doctors, including Dr. Anna Reid, the first N.W.T.-based doctor to serve as the CMA's president. Howard says that's because northern doctors are seeing the impact of climate change on health. "When you look around here we're seeing less stable ice and so people are little more isolated in their community for more of the year which leads to stress, mental health affects, decreased availability of traditional foods, tougher to go hunting, way more forest fires as we've seen, which have terrible air pollution or respiratory effects." Howard compared the move to a similar divestment process from tobacco. She says it's one way to make the issue of climate change real, and get people to start to take action. "Pulling that issue out of the environment box and putting it in the health box is really what we need to do."